What better vantage point for the children to watch over their surroundings than our Observation Den. 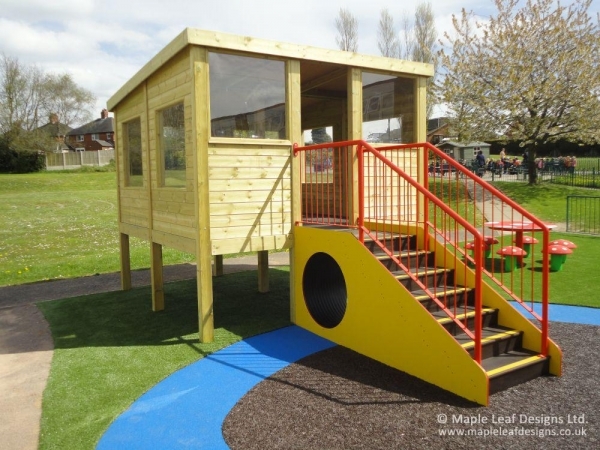 These structures can be fitted with polycarbonate windows for extra shelter from wind and rain, along with polycarbonate porthole windows in the floor to view children playing underneath. It also makes a great structure for outdoor lessons with small groups.